Gods & Goddess Empowerments. Over 2000 Advanced Energy Workshops for Physical and Spiritual Evolution. To receive a deity empowerment, is to become more aligned with that specific God/Goddess. It is one big Attunement session, where your connection to the Gods/Goddesses below will be strengthened. This means, that your ability to work and channel the deity, will become much stronger. Anyone can work with the Gods/Goddesses without an empowerment. Goddess of mercy and compassion. Keywords: Agriculture, Writing, Arts and Crafts, Divination, Enchantments, Fertility, Healing, Health, Herbs, home, Inspiration, Love, Magickal Arts, Motherhood, Oracles, Patron of Priestesses, Prophecy, Psychic Abilities, Tarot, Vegetation, music. God of fertility, life, animals, wealth. Keywords: Animals, Commerce, Fertility, Healing, Herbs, Journeys, Music, Prophecy, Prosperity, Psychic Abilities, Wine, Woodlands. Also LUGH, LLEU - A sun god. Keywords: Architecture, Arts and Crafts, Commerce, Healing, Health, Journeys, Music, Patron of Priests, Regeneration, Solar Magick, Writing. Goddess of fertility, love and beauty. Keywords: Beauty, Fertility, Flowers, Happiness, Love, Marriage, Passion, Sexual Activities, Women. To the Romans, CERES Goddess of grain and the fruitful earth. Keywords: Women, Agriculture, Blessings, Childbirth, Children, Commerce, Divination, Fertility, Home, Marriage, Motherhood, Protection, Regeneration, Seasons. Keywords: Abundance, Prosperity, Athletics, Commerce, Communication, Journeys, Merchants, Success. (Kwan Yin) Goddess of mercy and compassion. Keywords: Calmness, Childbirth, Children, Commerce, Fertility, Healing, Mercy, Motherhood, Patron of Priestesses, Protection, Purification. Keywords: Animals, Childbirth, Children, Fertility, Freedom, justice, Motherhood, protection, purification, success, women. 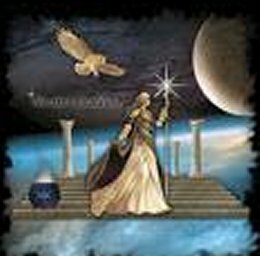 You will receive the Gods & Goddess Empowerments manual via Email, All Attunements and a emailed certificate. Plus full email support is given before, during and after all my Workshops.